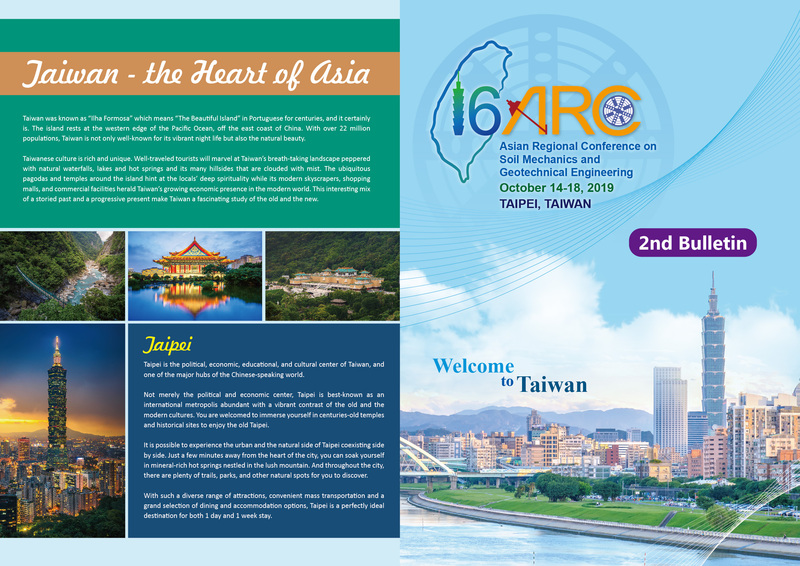 to be held on October 14~18, 2019 at Taipei International Convention Center (TICC) in Taipei, Taiwan. The Conf. is organized by Chinese Taipei Geotechnical Society under the auspice of ISSMGE Board. please help us to disseminate to your ISSMGE individual members. 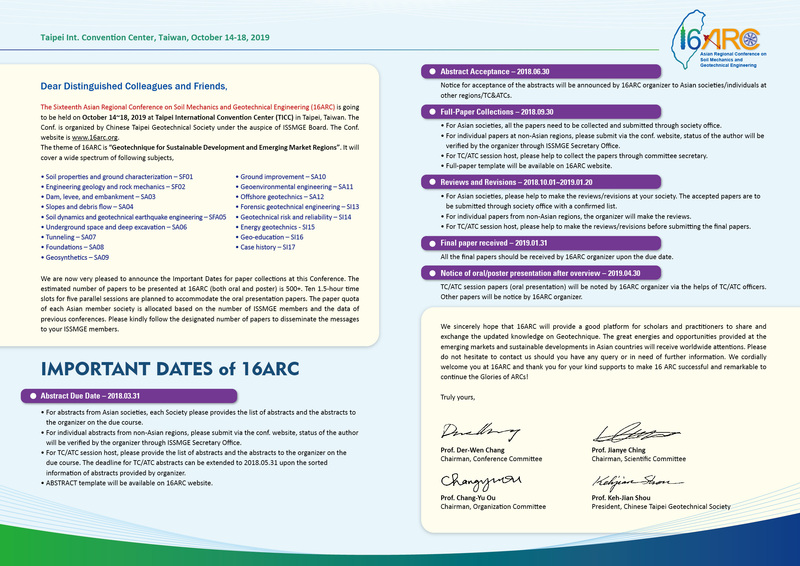 to welcome you at 16ARC in 2019. Mostly grateful to your kind helps!